Version 5.7 brings a greater breadth of functionality to the Sisense platform by expanding the range of visualizations tools, adding native connectivity to unstructured and machine data, as well as providing support to access data anywhere. We’ve introduced a native connector to merge data in MongoDB and Splunk with other sources. 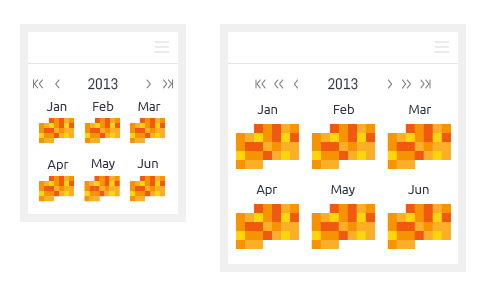 New visualizations are now available that will allow you to interpret time series data through calendar heatmaps and hierarchical data with tree maps. In addition, dealing with data on the go is much easier with our improved export to PDF feature, and a number of other miscellaneous enhancements. Capture, analyze and connect machine-generated data to other sources. Use the native Splunk connector to harness the power of machine data you collect and integrate it into your Business Intelligence strategy. Use the powerful database, analytics and visualization tools provided by Sisense to reach new insights into your machine data and the way it relates to other datasets in your organization. Analyze and report on unstructured data from MongoDB NoSQL database. Utilize your unstructured data collected in the MongoDB database by connecting it to Sisense to gain real insights through analysis and visualizations. Allow users to view many varied columns in each table. 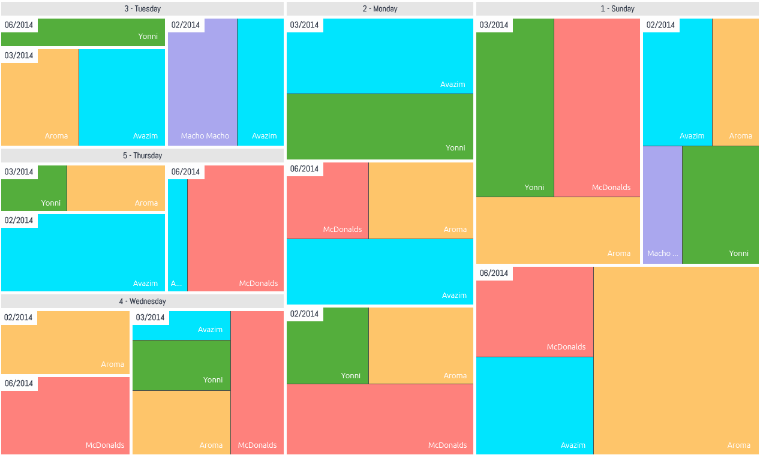 Visualize and understand hierarchical data. A tree map shows proportional distribution of data segmented by various categories. Each data point is represented by a rectangular with the size determined by its proportional contribution. Discover trends and gain insights from periodical data. Show activity of an important metric over an extended period of time, such as months or years. Settings enable a variety of by-month views, as well as week views to compare specific days, or week over week trends. Discover how quantity trends over time or fluctuates depending on the day. 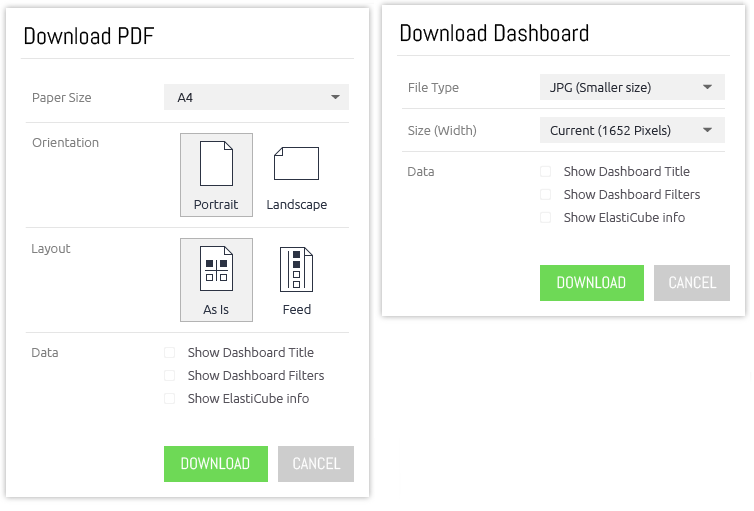 Export a widget or dashboard to pdf for offline use. Export any of the Sisense dashboards or widgets to pdf or image file to use offline. Tailor pdf’s for individual needs, including the ability to get quick insights and facts for presentations. Improved subtotals calculations for custom formulas. Enable users to easily see aggregated and detailed calculations for similar groups of items in the same pivot. Show greater data for each location in scatter plots by adding an additional field. Improve the ability to compare performance across locations. Improved controls make it easier to select or drill into data, as well as to clear a selected value.